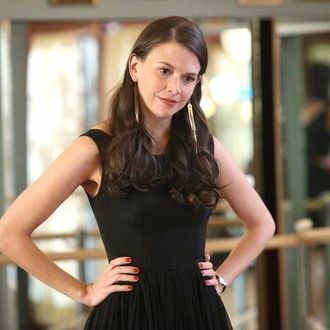 Sutton Foster, who basically played a mirror universe Lorelai Gilmore on Amy Sherman-Palladino’s late, lamented Bunheads, has joined the cast of Netflix’s Gilmore Girls revival. Foster’s role is being kept under wraps, though TVLine speculates she could play her Bunheads character Michelle, which might create some sort of glorious Palladino-verse that contains two Kelly Bishops, or at least risks breaking the land-speed record for spoken dialogue. Foster is just one of many actors — including Milo Ventimiglia, whose role was announced earlier today — that Netflix has decided to spend money on instead of Melissa McCarthy. Foster currently pretends to be half her age on Younger. For a moment of zen, watch her perform on Bunheads. You’re welcome.